The weekend of the 24th was the Quilt and Stitch Village event in Uttoxeter, not to far from me, so me and the lovely mum went along, meeting some guild friends there. I, of course, was excited to see the embroidery exhibition as I'd entered Save the Stitches. There are two photos to show it as it's so long! I also took a photo of the whole thing, but Photobucket is playing up and I can't rotate photos. I did not come 2nd. I did not come 3rd. I'm pretty sure I came 4th, but there are no rosettes for that, so we'll just have to assume I did! Here are the entries that did win, this was the Traditional Embroidery category. I didn't fork out the pound it cost to buy the programme, so I've no idea who made these! 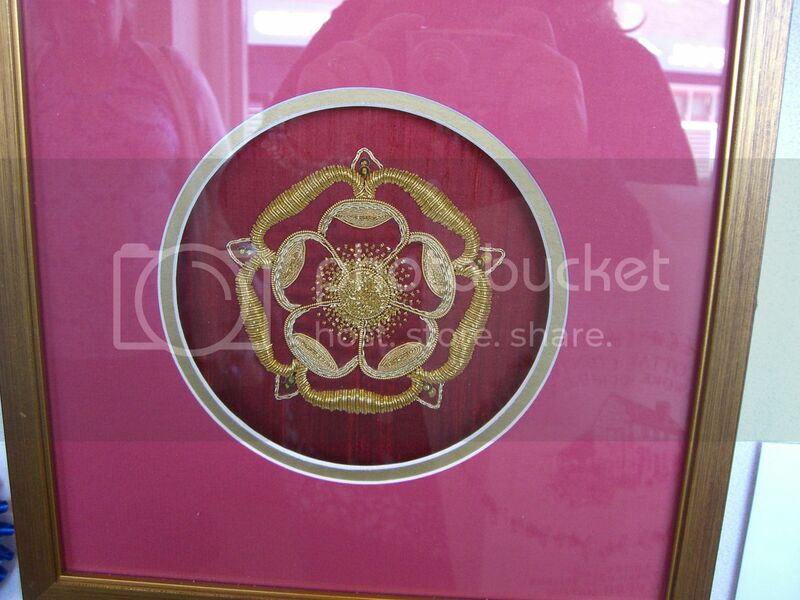 The goldwork tudor rose above came third. 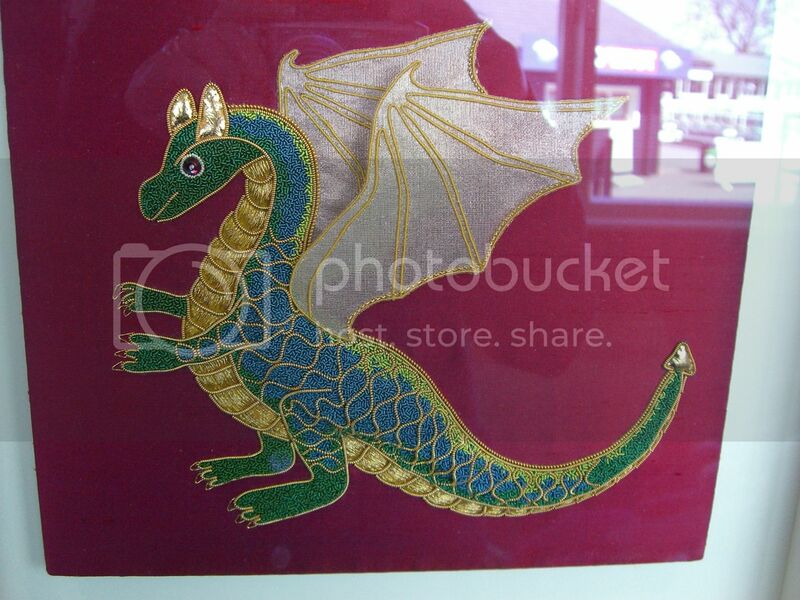 I loved this goldwork dragon, it came 2nd. And this came first. In the Traditional category? Sorry about the reflection, but it was glazed and there was a window behind. In my judges comments both said that it should have been framed. Funny that, I thought I'd entered an embroidery competition, not a framing competition (or rather a who-can-fork-out-the-most-money-for-their-massive-and-unusually-shaped-embroidery competition). The rest of the comments were good, so I probably shouldn't moan. The dragon is a little poppet, isn't it he! 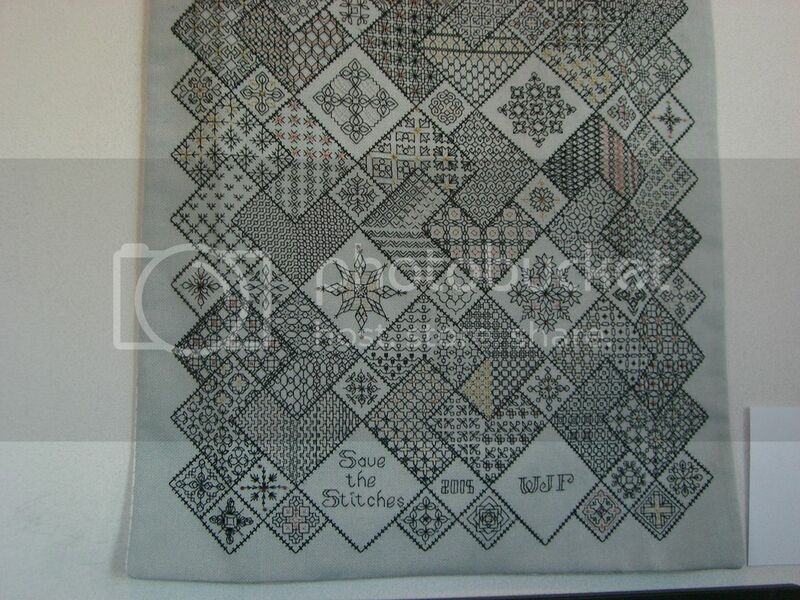 And my goodness, that blackwork of yours is a real whopper of a piece! Yours is beautiful and represents so much work. One never knows what the judges are thinking! I would of given you first place. Your embroidery is awesome and I love it. I would of given you first place! Your embroidery is awesome. 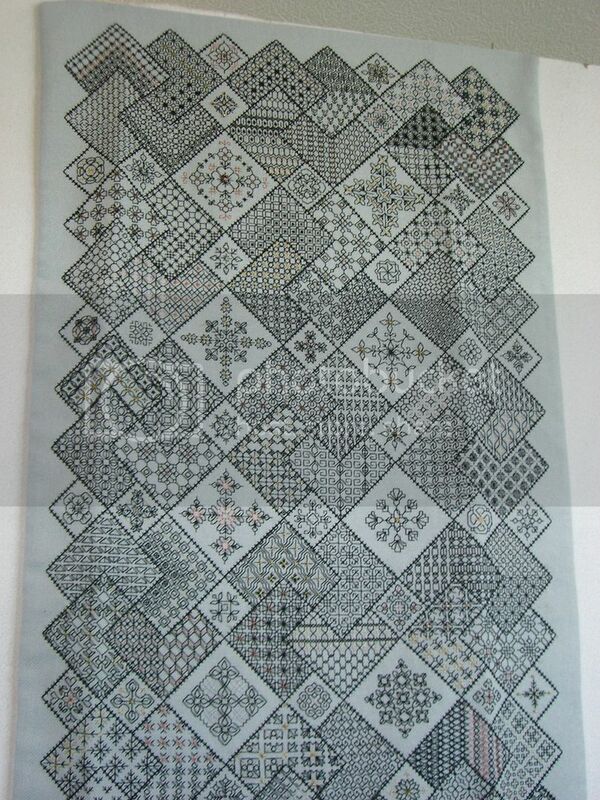 Your blackwork stitchery is so amazing, nothing compares to handstitching these beautiful designs. I can get you the references when I get home if you like? Well if they wanted it framed they should have said so in the entry instructions! Oh Wendy that is gorgeous! If only I lived closer to have gone and seen it. 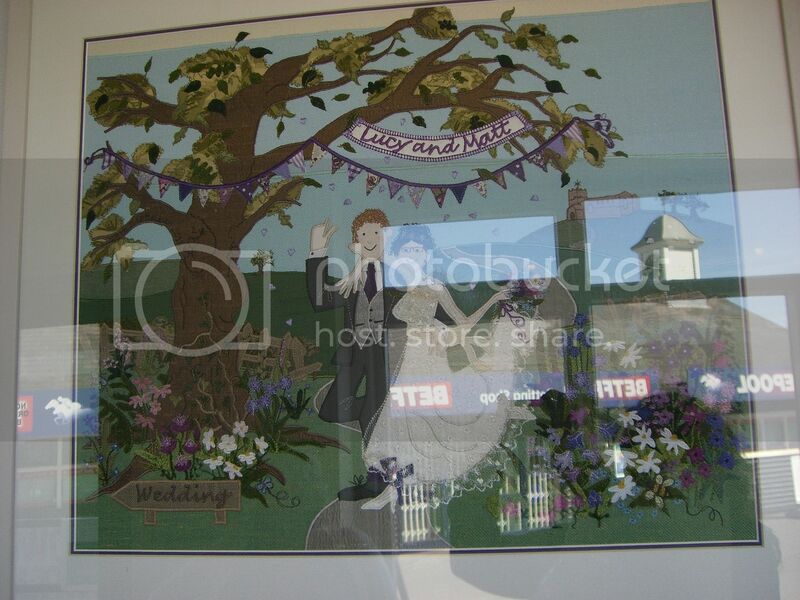 Love the dragon too and the wedding one but seriously traditional catergory..... not. Blackwork is amazing. PArticipating in a competition is good.better luck next time. If I were one of the judges, I would have chosen your for the overall winner. It is beautiful! Your piece is number one in my book! This is awesome. Congrats on completing it. Oh what a stunning piece you did and although I like the others, your probably took more time.....such a shame you didn't place and a cheek saying it should of been framed! 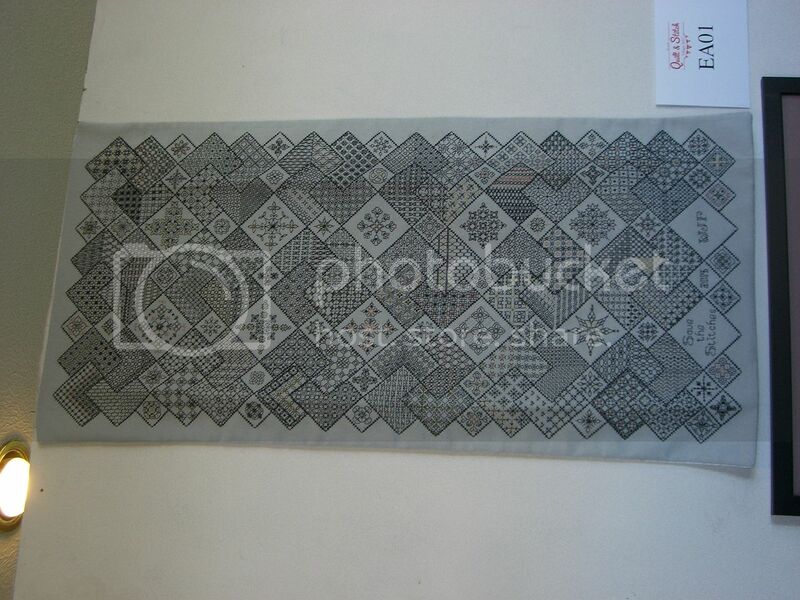 Love your blackwork - can't imagine the cost of framing it! that dragon is seriously cute though!